Welcome to the online home of Central Coast Feather Fanciers! 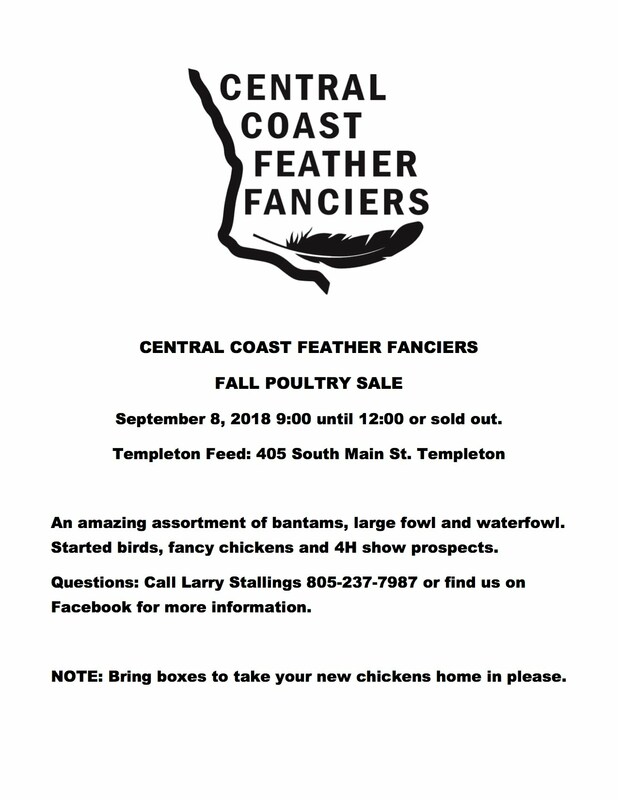 Central Coast Feather Fanciers is a local organization of poultry hobbyists and enthusiasts, dedicated to the advancement of standard-bred poultry breeding and exhibition. Most of our members reside in San Luis Obispo County on the Central Coast of California. 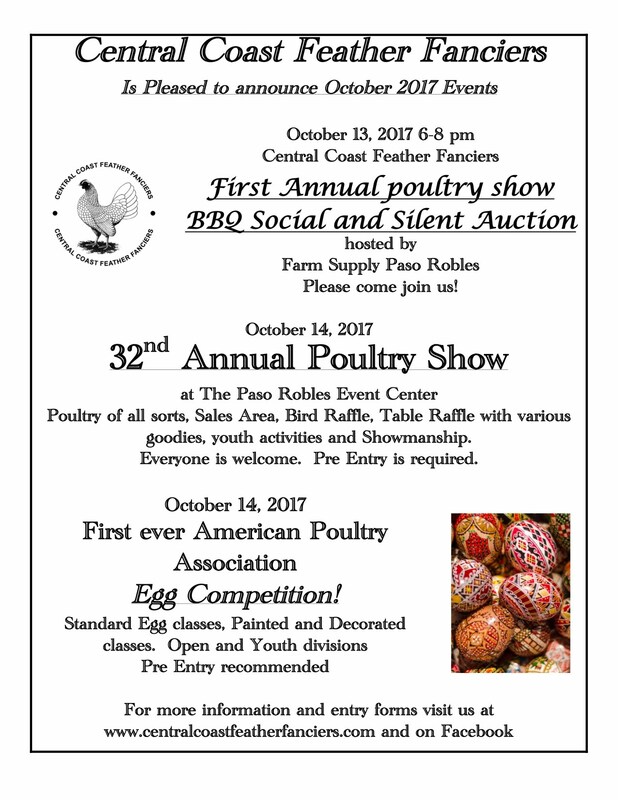 We host a poultry show every October in Paso Robles, California; we also hold poultry sales at local feed stores two to three times a year generally in April, July, and September. Central Coast Feather Fanciers offers a monetary award to young poultry enthusiasts through the Patricia Woodland Memorial Fund for the Advancement of Youth in Poultry. Currently this award is ONLY available to San Luis Obispo County youth members of CCFF, 4-H, and/or FFA, though we hope to expand eligibility to the state of California in the future. CCFF is an associate member of the American Poultry Association and the American Bantam Association, and is a California National-affiliated poultry club. New Logo Our club has updated our logo!Sorry Im having trouble with it showing up.